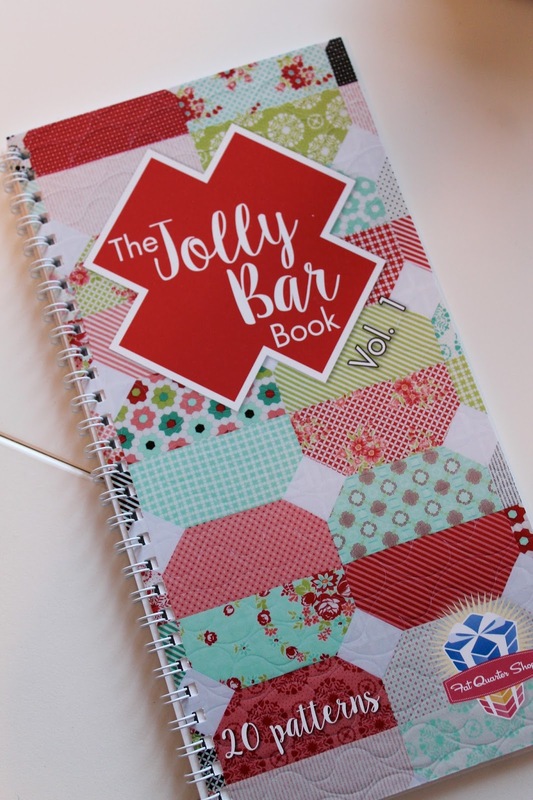 Today I am part of a blog hop hosted by the Fatquarter Shop to show you their fun new book, The Jolly Bar Book Vol. 1. " A Jolly Bar is a precut bundle of fabric with forty-two 5" x 10" fabric cuts (bars) and is a Fatquarter Shop exclusive precut. This is a great and affordable way to try out a line of fabric and using their new book, you can whip up a quick quilt in no time. 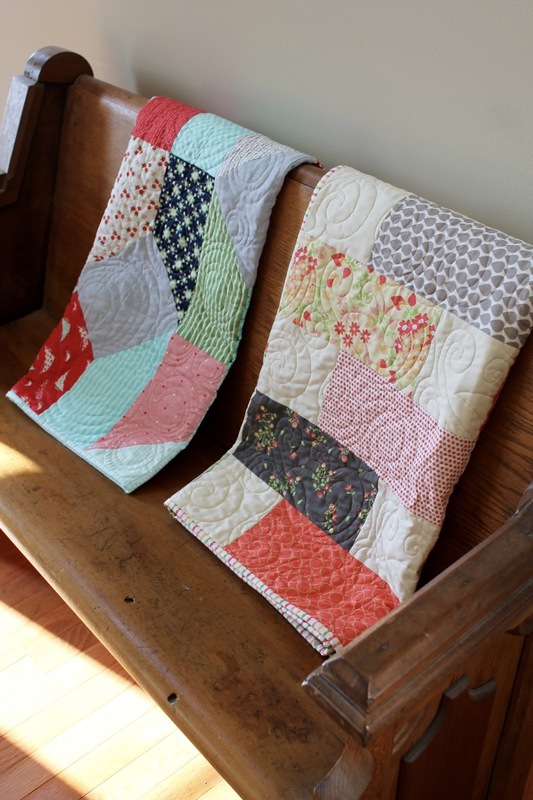 I decided to make two quilts using "Daysail" by Bonnie & Camille for Moda (left) and "Sundrops" by Cory Yoder for Moda (right). 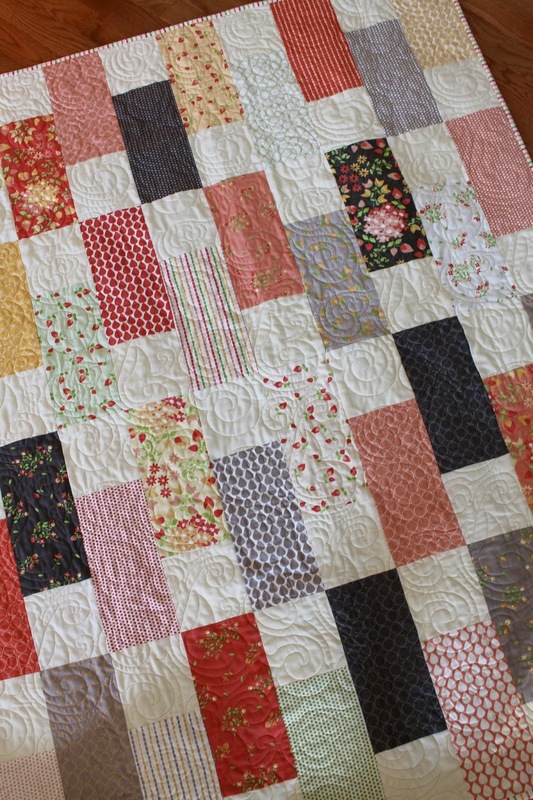 The pattern I used with the gorgeous Sundrops fabric is "Picket Fences Quilt". What a fun and easy pattern to stitch up. 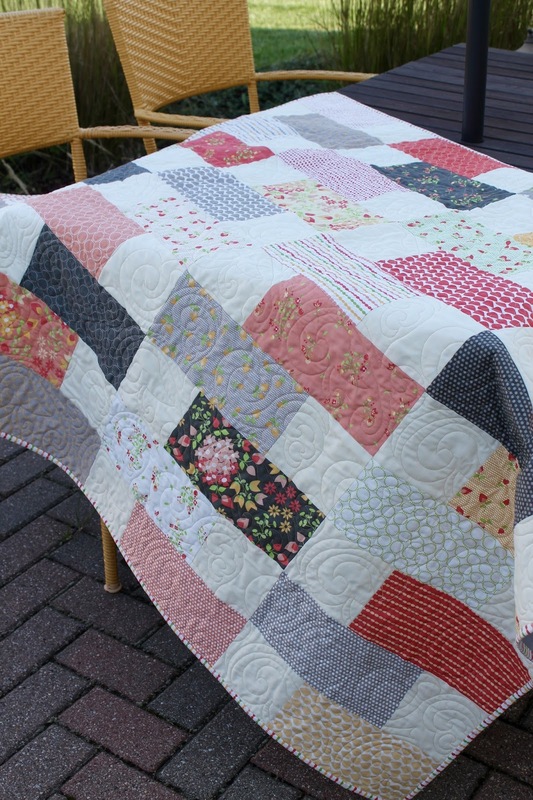 This quilt measures 45.5" x 56.5" I love the circular swirls the quilter used on both quilts. 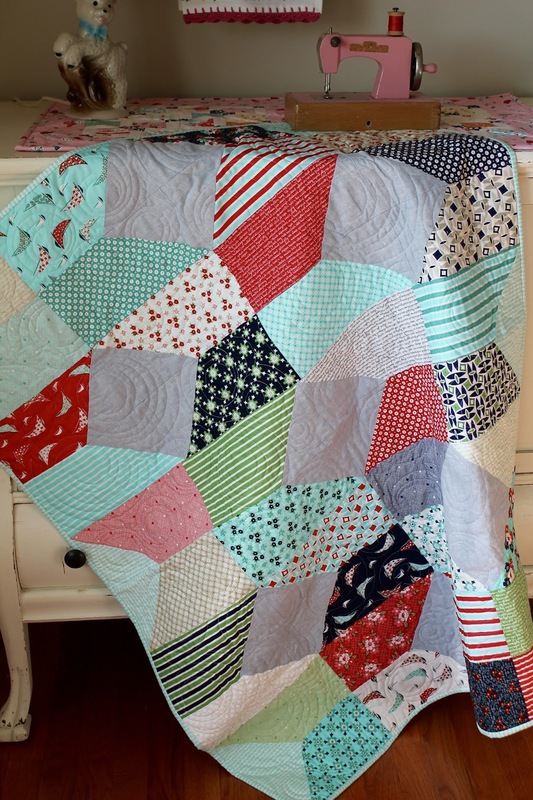 The second quilt I made using "Daysail" and the "Seas the Day Quilt" pattern. This was equally as fun to make. I used a soft blue chambray for the background. This quilt measures "38.5" x 45.5" Both quilts are good lap and/or baby size and can be easily made larger with the addition of another Jolly Bar. 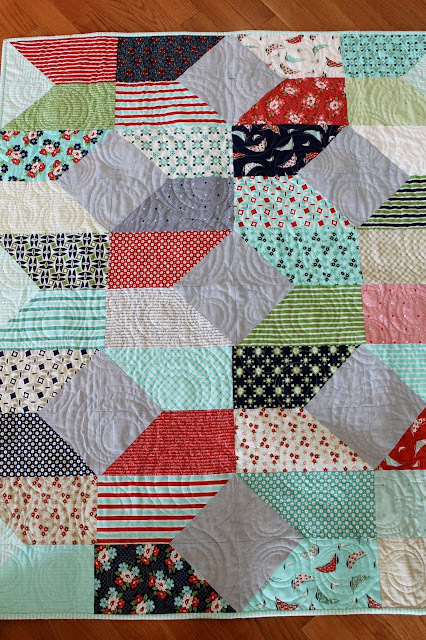 You do the most fun quilts. Love them both. I had no idea what a jolly bar was. You made two!!!!! And I love both of them equally - great job Renee! They both look amazing!!!! Love your fabric choices with each pattern! 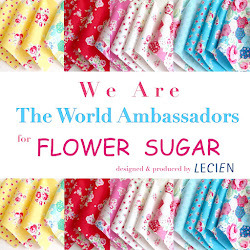 So happy to have found your site! Love the "Daysail" and the "Seas the Day Quilt" patterns...I'm always partial to anything sea-inspired.